Southern Cross Parks operates a range of parks on key inland driving routes. 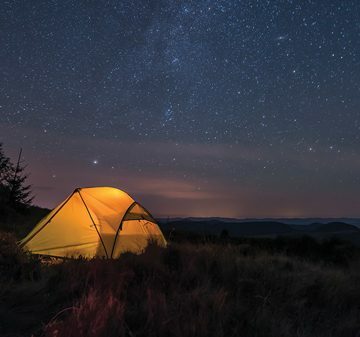 So whether you want a powered site for the night or a cabin for a week Southern Cross Parks can help you. Dubbo Midstate Caravan Park offers a wide variety of accommodation options including, cabins (sleeping up to 5), self-contained units, motel style, and single person workers cabins. Available are well grassed, shaded powered and unpowered sites, as well as pet-friendly cabins. Extra attractions include a kids playground and an in-ground swimming pool. Whilst staying in Dubbo there are many tourist attractions to visit including The Royal Flying Doctor Service Visitors Centre, The Taronga Western Plains Zoo and The Old Dubbo Gaol. 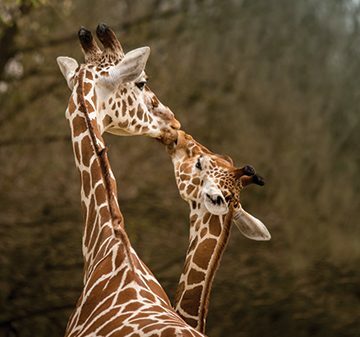 The Taronga Western Plains Zoo is located on Obley Road and is only a short drive from the park. Located two hours drive south-west of Sydney and an hour north of Canberra, Goulburn South Caravan Park is a convenient stopover, minutes off the Hume Highway. Stay a while and enjoy Goulburn’s fascinating past. With a history that includes explorers, gold-diggers and bushrangers, Goulburn was settled by colonials who forged a city from the bush. Today, Australia’s first inland city offers an array of historic buildings, an energetic rural culture and country cuisine. The park offers a variety of accommodation options, including Homestead Villas sleeping four people, Merino Villas sleeping five people and drive through powered and unpowered sites. 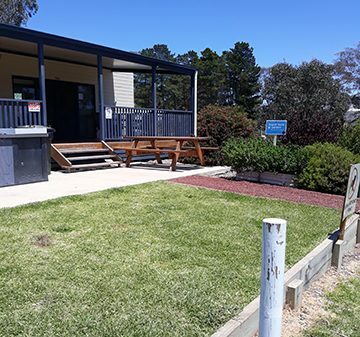 Situated on the banks of the Wimmera River and a 5 minute walk from the centre of Horsham, Horsham Riverside Caravan Park is your ideal overnight destination when travelling between Adelaide and Melbourne. Sawyer Park Sound Shell a short walking distance away. The park is situated next door to the Horsham Botanic Gardens and includes a playground designed by Willian Guilfoyle, who laid out Melbourne’s Botanic Gardens. A sealed walkway/bikeway connects the park to famous Wimmera River Walk. The park offers a range of accommodation including, villas, one, two and three bedroom cabins, ensuite sites, as well as drive-through powered and unpowered sites. 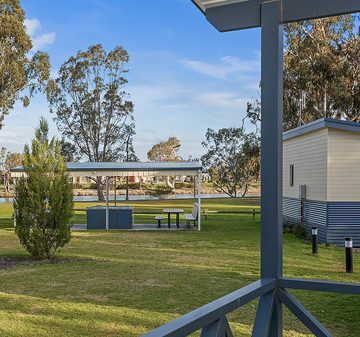 Narrabri Big Sky Caravan Park offers a variety of accommodation options including, new merino villas, drive through grassed sites and unpowered sites. It is conveniently located within a 5-minute walk to town and next door to the RSL and Narrabri Pool and Leisure Centre. The park offers free gas BBQs to make your stay more enjoyable and is also pet-friendly. Whilst staying in Narrabri, there are many tourist attractions to see and things to do. Some highlights include, the CSIRO Australia Telescope Facility, Mt Kaputar National Park, The Crossing Theatre, Seplin Estate Winery, Pilliga Lake Hot Artesian Bore Baths, Narrabri Fish Farm, Nelsons Honey Factory and the Narrabri Lake. Tiona Palms Holiday Park is in a unique location, located on an 8km stretch of peninsula. Nestled between the beautiful white sands of Seven Mile Beach and the calm waters of Wallis Lake in Pacific Palms. 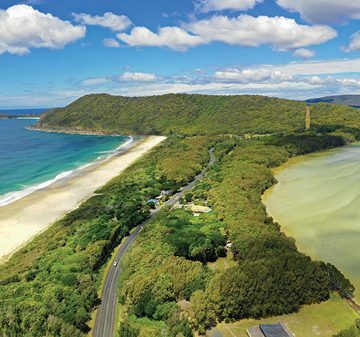 Pacific Palms is a small coastal township located a few hours drive north of Sydney. Enjoy this pristine peninsula with beaches, rainforest, nature walks and lookouts. With our accommodation types created to suit all groups, families and singles, you can select from our 80-bed lodge (6 to a room), our variety of cottages, or one and two bedroom cabins. Bring the caravan/RV and stay at one of our powered or unpowered sites, or choose between beachside or lakeside camping sites. Tiona Palms Holiday Park is famous for the Green Chapel, the historic outdoor church nestled against the shore of Wallis Lake under a canopy of cabbage palms. Regular church services and weddings occur at this venue. For your convenience, The Palms Conference Centre is located on site and is able to host corporate functions and wedding receptions.